The Punu people reside along the banks of Upper Ngoume River in Gabon. 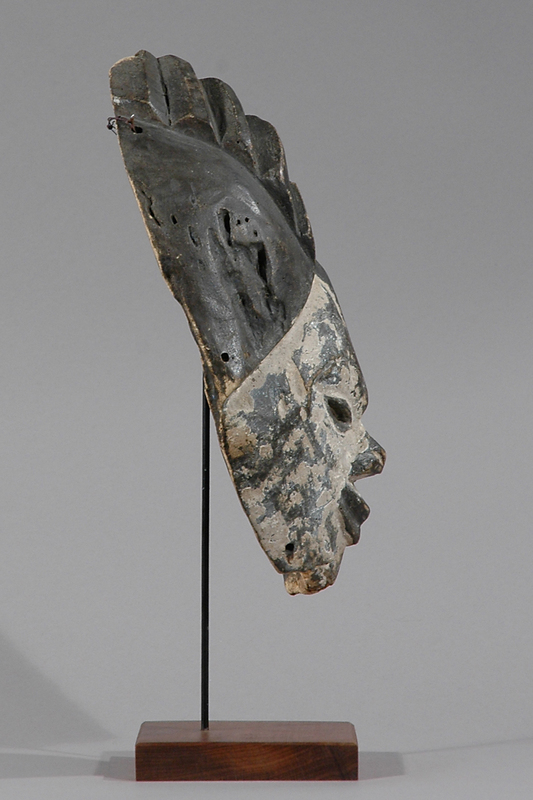 This Punu mask represents the idealized beauty of Punu women and at the same time the ancestors’ faces. 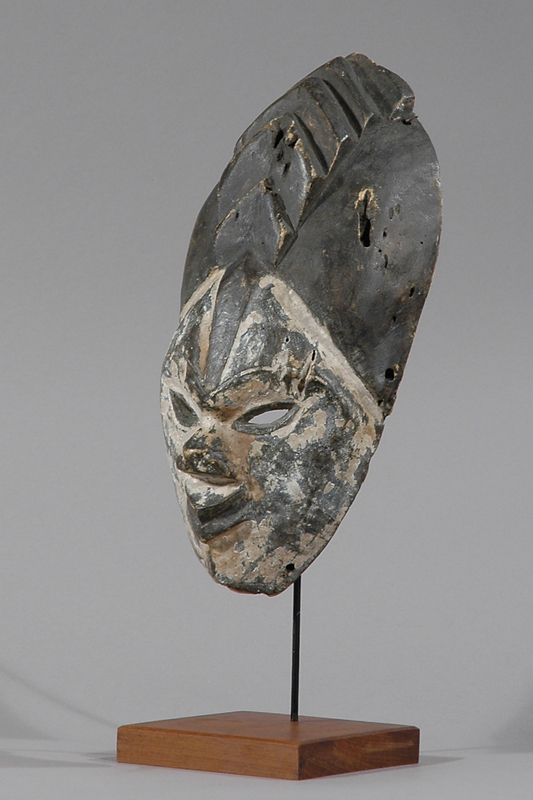 The white color of the mask is genderless; white is a symbol of peace, deities, spirits of the dead and the afterlife. It is thus the predominating color in funeral celebrations and memorials, and therefore the masks were worn during funerals. 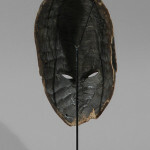 They also appeared in the magical rites that was to unmask sorcerers. 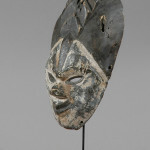 The masks have realistic, mostly white but sometimes black faces with protruding pursed lips, high-domed foreheads and characteristic rigid high coiffures reflecting the Punu women’s hair styles. 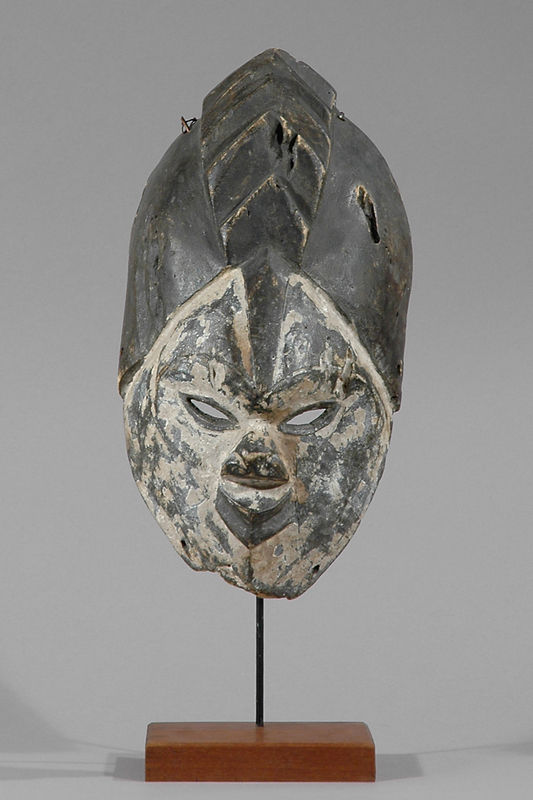 This mask have an Oriental expression with slanted seated eyes. 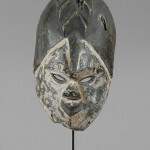 Usually the masks have round, protruding eyes. 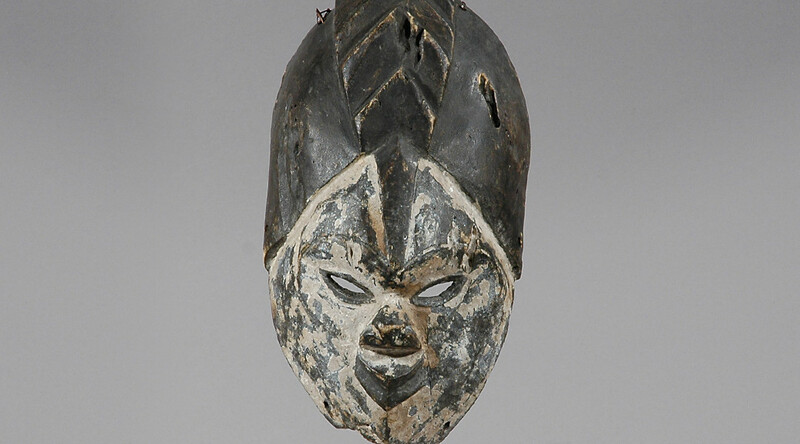 Many Punu masks can be recognized by raised diamond-shape scarification marks on the foreheads and temples. The scarification marks on the temples are thought to be associated either with a female ancestor or with a southern sub-group of the Punu tribe. 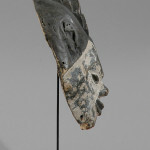 The performances of the masks are nowadays intended primarily to entertain audiences on festive occasions. Only rarely the masqueraders fulfill a ritual function of ssss at funerals, when they dance as embodiments of the ancestor spirits. In performances the dancers, wearing costumes of raffia or cotton fabric and animal pelts, move with amazing acrobatic agility on stilts up to six and a half feet in height. Age: Est. 60-70 years old. Could be older. 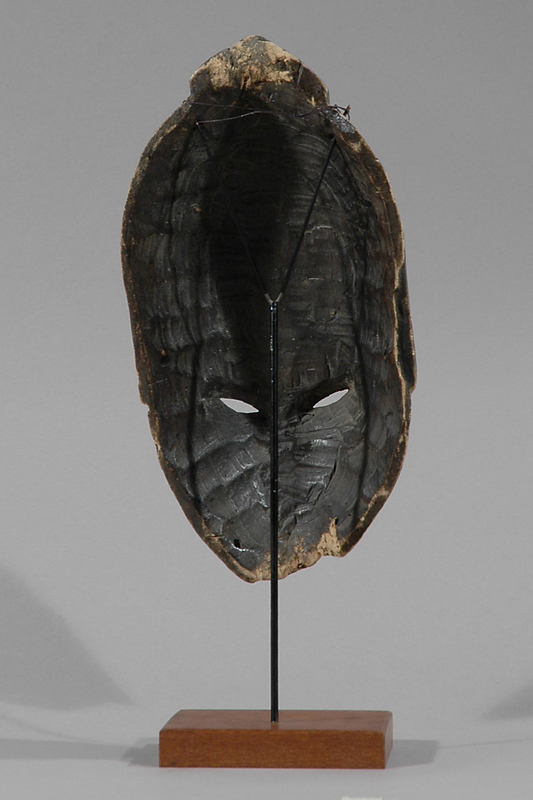 Provenance: Acquired from a Danish artist who himself acquired it in Paris in the 1970s.